Asghar Farhadi’s “Everybody Knows,” which launched the 2018 Cannes in May, transplants many of the Iranian director’s usual concerns to a small village in Spain. The advance word called it a psychological thriller, and it does contain some thriller elements such as a crime and a race against time to save a young girl who’s gone missing. But this is not Farhadi doing a genre exercise; as is most of his work, “Everybody Knows” is a quietly gripping examination of societal divisions, of class, of secrets that bind us together and pull us apart. And it’s about what happens when secrets aren’t really secrets, when “everybody knows” — or suspects, or at least gossips. 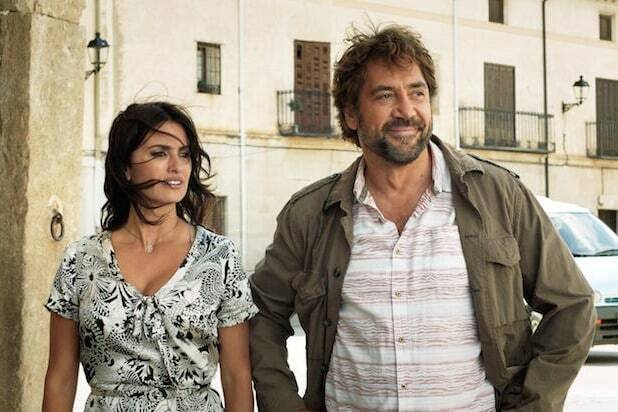 Many of those secrets swirl around Laura and Paco, played by Penélope Cruz and Javier Bardem. She’s a woman from the village who has been living with her husband and children in Argentina for years, but who returns to Spain for her sister’s wedding. Cruz’s Laura is both a beloved member of this community and somehow apart from it; her resentments toward the people she left behind, and theirs toward her, aren’t always obvious, but they’re present. Paco, on the other hand, appears to be a local farmhand working the vineyard when we first see him in sweat-drenched flannel. He looks completely comfortable as a laborer — but it turns out that this is his vineyard and his estate, and when his wife beckons him into the house to take a shower and change, it’s clear that he’s not quite as comfortable as he was out on a tractor. We learn soon enough that Laura and Paco grew up together and were in love as teenagers, when her family owned the land and his worked on it. But at one point, Paco bought part of the estate from Laura at a good price, helping her out when she needed money but also prompting mutterings that he’d taken advantage of the family to attain his undeserved status as an estate owner. But the resentments only surface after a catastrophe. Laura’s daughter Irene (Carla Campra) feels ill during the wedding celebration and goes upstairs to sleep it off — but at some point, Laura realizes Irene is missing, which sends her into a panic that elevates to hysteria when she gets a text announcing that her daughter has been kidnapped. In a way, this incident puts “Everybody Knows” in a league with Farhadi’s “About Elly,” in which a young woman disappears while on a beach trip with friends. Neither film was a whodunit by any means; Farhadi may eventually tell you what happened and who did it, but he’s far more interested in letting the dominoes fall and the buried troubles surface. Cruz and Bardem have acted together several times, both before and after they became a real-life couple, but they have rarely gone to these emotional extremes together. For Bardem, the anguish is largely internal — but as “Biutiful” showed, few actors are better at conveying the weight of the world in a furrowed brow or a slumped shoulder. For Cruz, meanwhile, this is a tour de force performance constructed from shades of anger, desperation and near catatonic grief, almost as exhausting to watch as it must have been to deliver. Farhadi is a rigorous filmmaker but not a showy one, and “Everybody Knows” is as formally understated as it is emotionally wrought. Though Alberto Iglesias is credited with a score, the vast majority of the film unfolds in silence, the better to hear each panicked gasp or suffer through each pregnant pause. But this is strong, disquieting work — and even when we get the kind of answers about what actually happened that Farhadi sometimes withholds in his films, it remains a dark character study of people who will never recover from old loves and old grudges. Penélope Cruz and Javier Bardem, "Everybody Knows"
Javier Bardem and Penélope Cruz, "Everybody Knows"